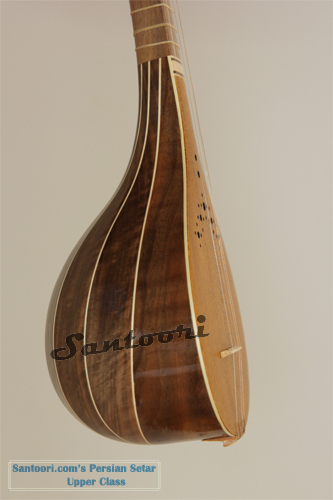 In November 2011 Santoori has surveyed and picked up the best possible sounding Setars made of walnut wood. After the purchase process all these instruments have been adjusted on frets, bridge and strings for the best performance. Iranian or Persian Setar is one of the most popular instruments of Persian classical music. 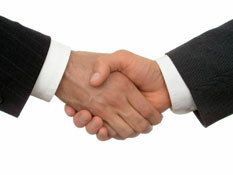 Therefore there is a wide range in prices offered by different makers. 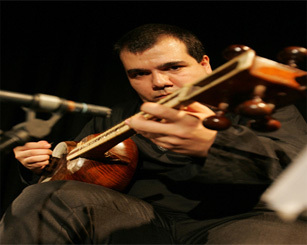 After the reference class Setar made by Peymani Santoori.com would like to recommend his third option for all, who would like to purchase a professional instrument with excellent price/performance ratio. 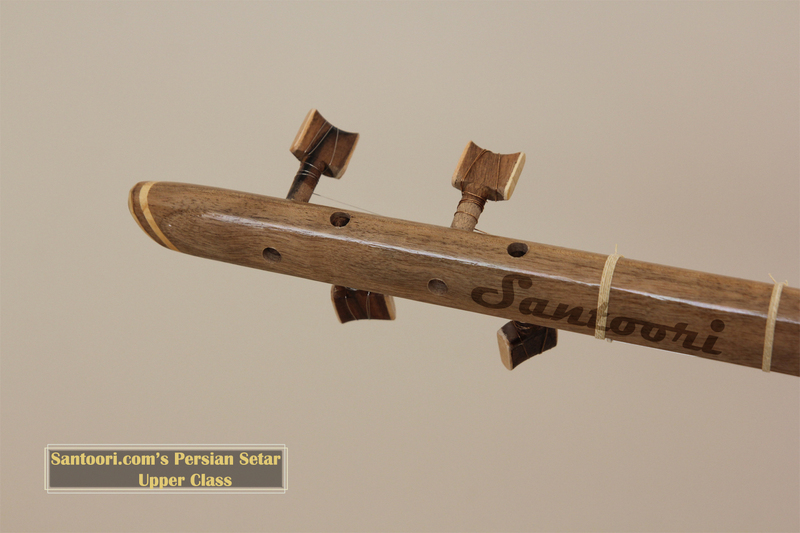 "This Setar product is our TOP SELLER setar instrument". Fair price for an instrument of concert class, which offers beautiful looking, warm and smooth sounding with just the right amount of clarity. 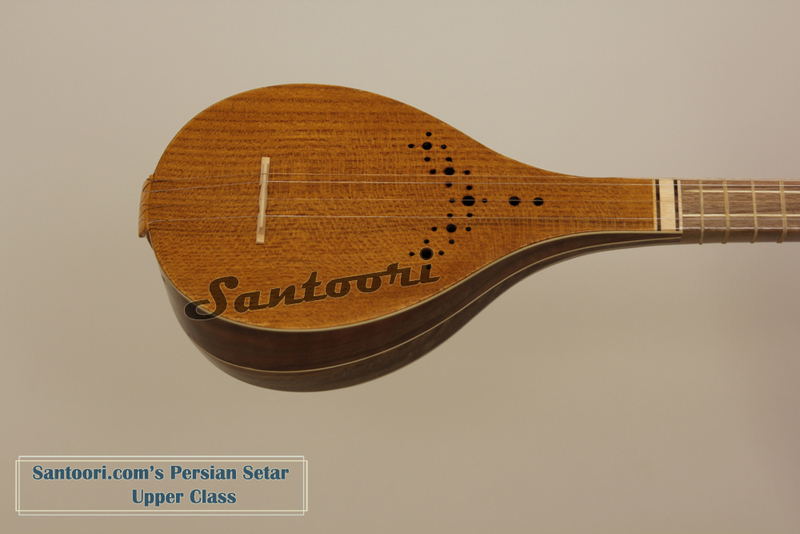 Santoori.com is anxious to present fair prices for the quality instruments of each price class. 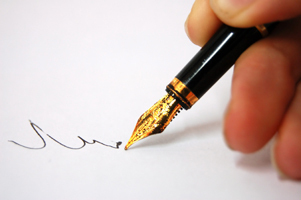 Please provide us a feedback so that we can continuously better our service.